As some of you may or may not know, we really like Florida State University when it comes to College American football and over the last two seasons we have enjoyed watching Jameis Winston win a national championship, throw a few paddies and generally be entertaining. 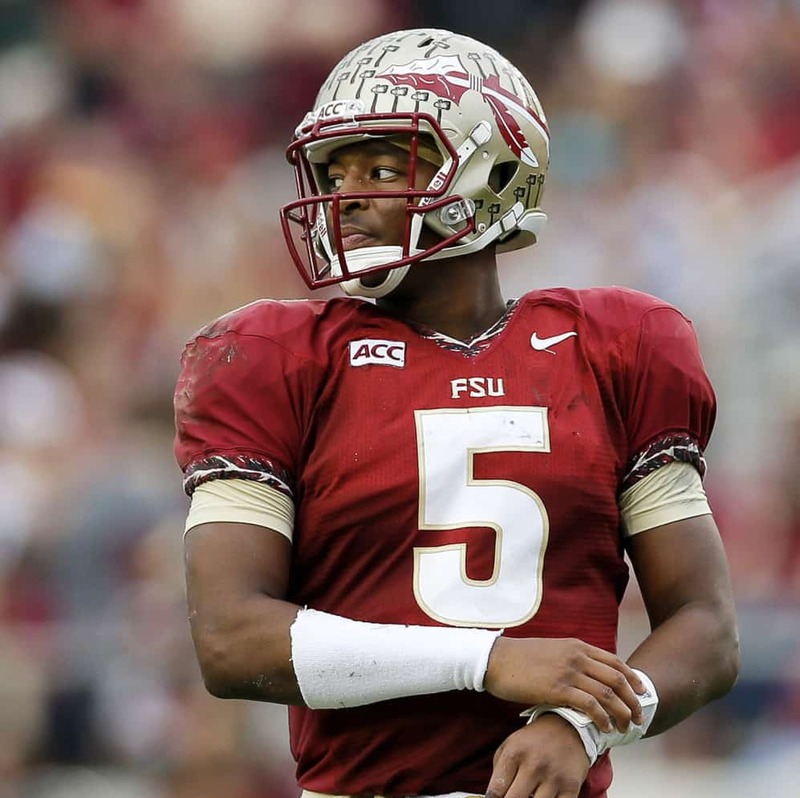 Again as some of you may or may not know on Thursday it is the draft where the teams in the NFL get to pick the cream of the crop from the players coming out of University and Jameis is one of those chaps. Why any of this may interest you, is that if Jameis goes first in the draft we will be putting his specially inspired socks up for half price and if you spend over £30 you get a pair for free! Ace eh? This will last for the duration of the draft (3 days) or until we sell out. Now I know you probably still don’t really care about Jameis, but I imagine you care about our socks.